TOUR DESCRIPTION: The Molokini Express is ideal for those who wish to enjoy the crystal clear waters and abundant marine life at Molokini but prefer to limit their time on the water to 2 hours. Express transport to Molokini via the high powered rafts will take less than 15 minutes. Once briefed, fitted with top quality gear, and in the water, over one hour of snorkeling time is available at prime locations away from any crowds. 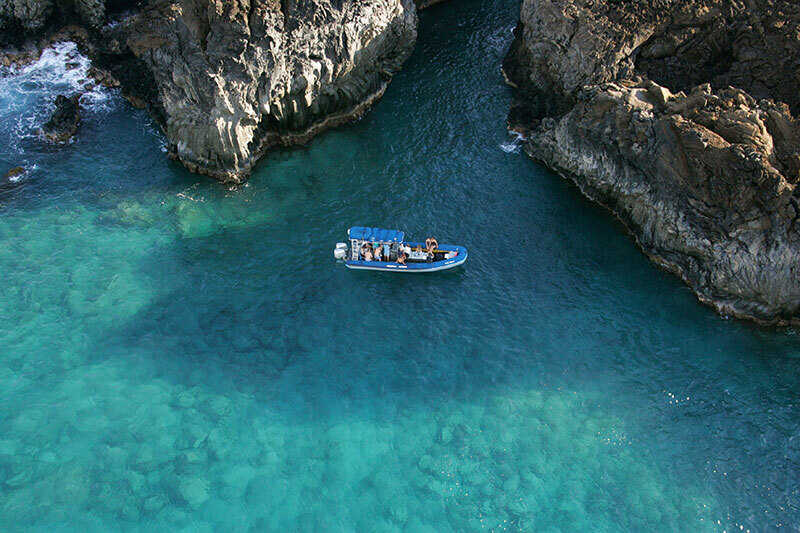 By arriving at the crater just after most of the other boats have just departed, you'll find the area to be almost empty allowing you to drift snorkel large areas of the rim. One of the most popular and spectacular drifts is over the outer reef formed by the rim of the volcano which at points is only 2 or 3 feet deep and then drops off on the outside to 200 feet. Gliding over the reef gives one the feeling of flying as you look off the edge of the world! The backside of Molokini might remind one of The Abyss as the wall plunges to depths of 300 to 400 feet. 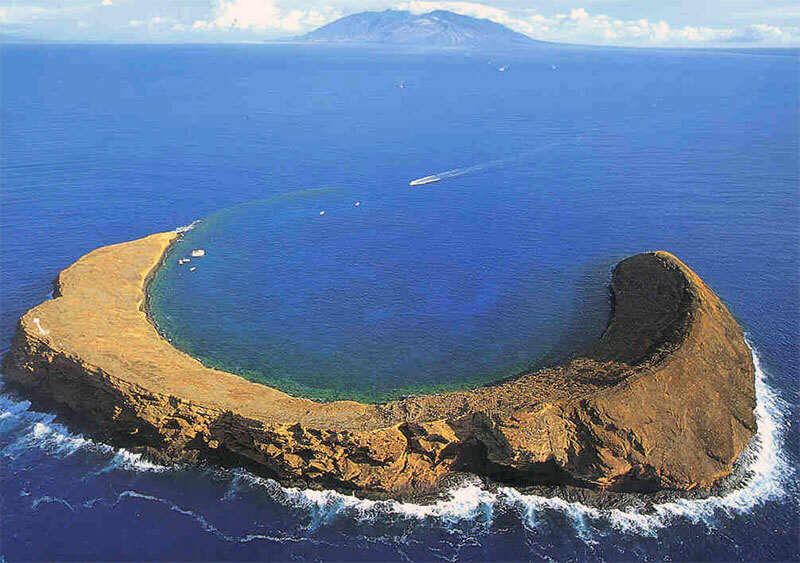 If the wind picks up on the inside of the crater, this area is often the calmest water for snorkeling. Tropical fish are just everywhere, but the shafts of light, awesome visibility, towering cliffs, and sheet drop offs are what make this site so unique. NOTE: We will confirm your activity date and time and send you an email with your booking details within 24 hours of receipt of your request. Please be sure to provide us with your date of arrival in Hawaii and your cell phone number so we may contact you to reconfirm your activity time. IMPORTANT: Please be advised that online bookings are not realtime bookings, and therefore require a minimum of 5 days advanced booking. If requesting a tour within 5 days, please call your Concierge directly at (808) 250-9536.